Shop our full line of Genuine BMW M Performance Parts for the E82 E88 1 Series! 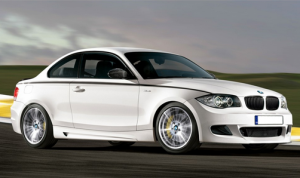 From M Performance steering wheels, shift knobs, and carbon fiber interior trims and spoilers, to BMW power kits, aerodynamics, and exhaust systems - we offer the M Performance parts your BMW 135i, 128i, or 1M Coupe craves! Our huge BMW parts inventory means low pricing, fast order processing, and lightning quick shipping on all Genuine OEM BMW parts and accessories! Looking for other E82/88 1 Series BMW Accessories? Find those here!